workloads are deployed or what infrastructure they are accessed through. specific applications and resources for which they are authorized. sophisticated threats and reducing cost and complexity. for the Cloud Generation,” said Ofer Smadari, CEO, Luminate Security. particular focus on “born in the cloud, for the cloud” innovations. innovations and integrations across its entire portfolio. countries. Other names may be trademarks of their respective owners. 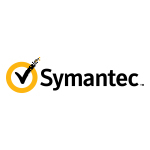 Symantec and should not be relied upon in making purchasing decisions.